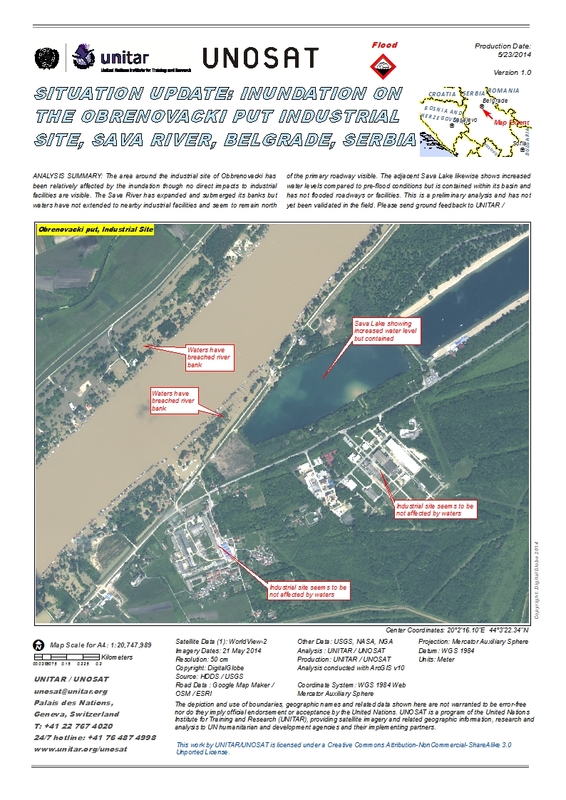 ANALYSIS SUMMARY: The area around the industrial site of Obbrenovacki has been relatively affected by the inundation though no direct impacts to industrial facilities are visible. The Sava River has expanded and submerged its banks but waters have not extended to nearby industrial facilities and seem to remain north of the primary roadway visible. The adjacent Sava Lake likewise shows increased water levels compared to pre-flood conditions but is contained within its basin and has not flooded roadways or facilities. This is a preliminary analysis and has not yet been validated in the field. Please send ground feedback to UNITAR / UNOSAT.